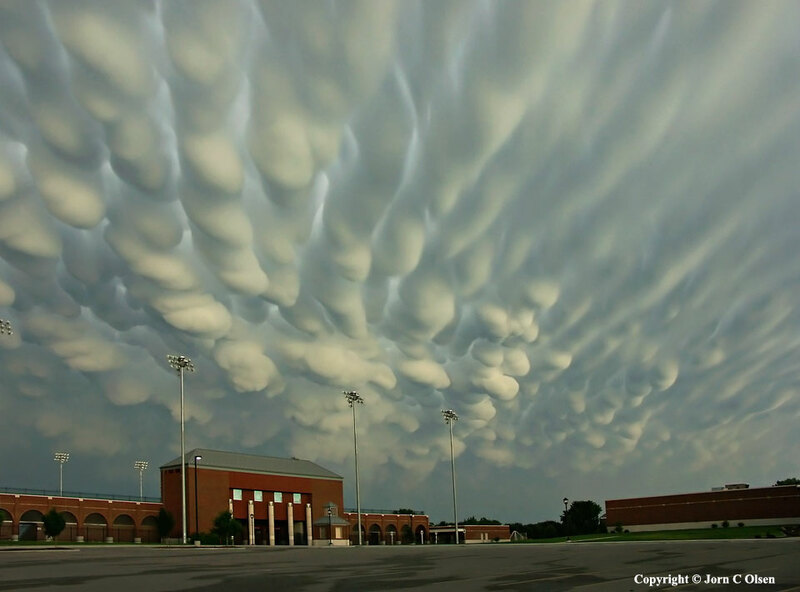 Explanation: When do cloud bottoms appear like bubbles? Normally, cloud bottoms are flat. This is because moist warm air that rises and cools will condense into water droplets at a specific temperature, which usually corresponds to a very specific height. As water droplets grow, an opaque cloud forms. Under some conditions, however, cloud pockets can develop that contain large droplets of water or ice that fall into clear air as they evaporate. Such pockets may occur in turbulent air near a thunderstorm. Resulting mammatus clouds can appear especially dramatic if sunlit from the side. 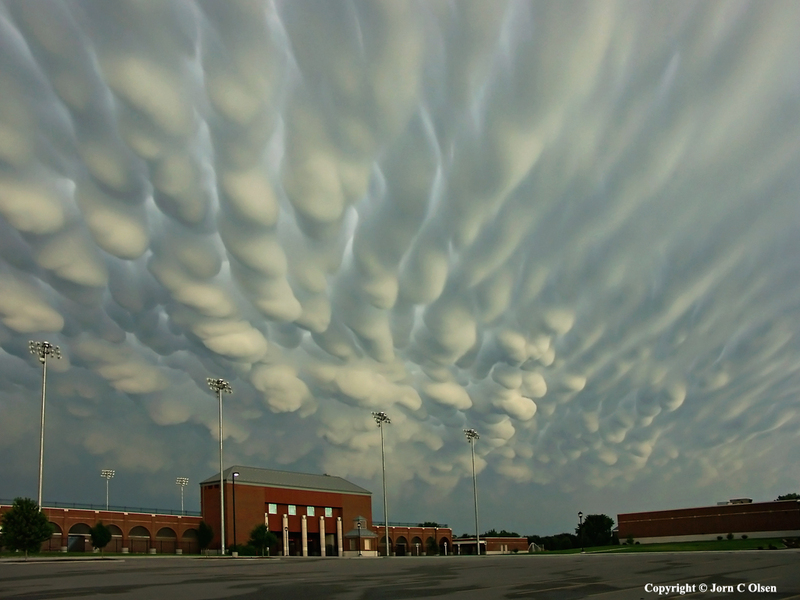 The mammatus clouds pictured above were photographed over Hastings, Nebraska during 2004 June.